Time By Half or More! 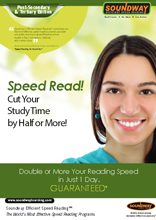 Double or More Your Reading Speed in Just 1 Day. GUARANTEED. The “rat race” begins early these days. Even in primary school young children have to contend with a heavy workload of homework, text books to read, and tests to prepare for. And after school the average child’s timetable is often packed with tuition, enrichment classes, extra-curricular activities and such. But help is at hand! 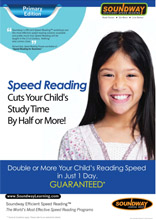 Imagine what could be accomplished if your child could double or triple his or her reading speed. Time spent reading would be halved or more. So it’s less pressure, more time, better grades! And the chance for your child to just enjoy being a kid. A One day workshop, a lifetime of benefits. 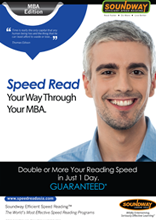 The Soundway Efficient Speed Reading Program promises MBA candidates a unique experience. Our core workshops integrate fun, engaging videos, games and exercises in a relaxing yet stimulating environment. We teach participants how to erase poor reading habits permanently, while significantly increasing their reading speed to perform better in the classroom, at work and beyond. And we do it in just 1 day! 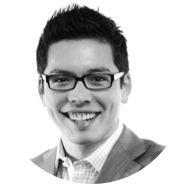 A research-backed, market-tested program with a money-back guarantee. Our programs are based on pioneering research on the psychology and physiology of reading, how the brain "comprehends" and the science behind memory retention. That's why our programs work. And why we confidently offer you a money-back guarantee*. Our facilitators rate "EXCELLENT" almost 100% of the time. Soundway's trainer selection process is the toughest in the industry. And our Money Back Guarantee stands as a commitment to excellence from the whole Soundway team. we only succeed if you succeed. 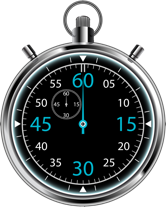 Determine exactly where you are, so you can set your reading speed goals. We’ll be right there to help you achieve them. Our workshops are backed by science, developed by experts, super fun, use custom videos, activities & technology. 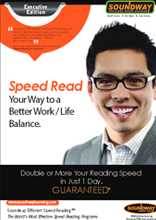 Take home the best speed reading workbook in the industry. Packed with valuable content covered in the workshop, for quick future reference. 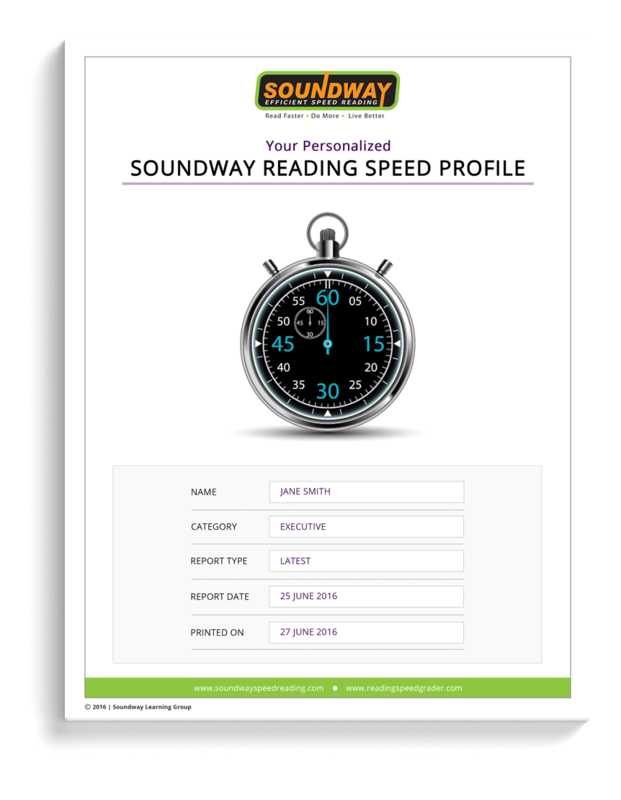 A 14-Day VIP Pass to use our custom speed reading software. Use it for just 10 minutes a day and experience even greater gains. Includes our 10-Day Action Plan. We guarantee you will at least double your reading speed after the one day workshop & using our software. We’re that confident. 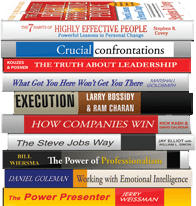 Breeze through special summaries of up to 10 best selling business books. 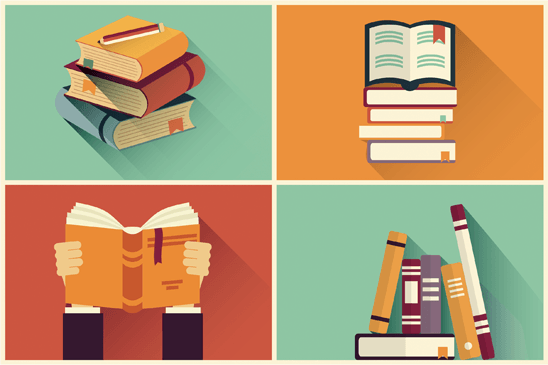 Valuable business books you will benefit from, and will help you in your MBA pursuits. When your child first starts reading, he or she is asked to read aloud slowly. Then at age 10 or 11, they’re asked to read silently. But they aren’t actually taught how to do this efficiently and effectively. So they end up reading silently while mouthing or lipping the words. And still at a pace that is far slower than their innate potential allows – which is thousands of words per minute! By reading faster and working smarter your child will free-up loads of time for family, friends and themselves. And he or she would still ace his or her exams! You’ll enjoy better focus at work. Absorb information faster. Develop the ability to skim, scan and preview Your child will enjoy better focus in his or her studies. Absorb information faster. 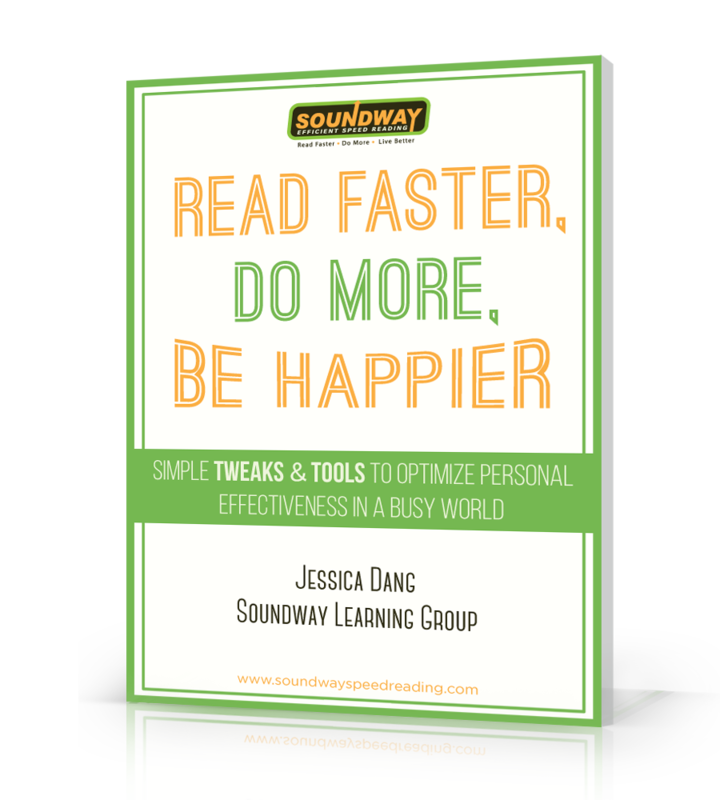 Develop the ability to skim, scan and preview what he or she reads to get to the key points fast. Comprehend and recall what he or she reads more effectively. And dramatically expand his or her vocabulary. The faster your child reads, the more he or she can read. And not just school-related material. By spending less time reading text books and assignments, your child will be able to finally breeze through all those great books he or she should read, but has never had the time to. Prepare for Life at the Top! 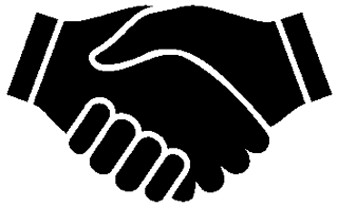 As a speed reader your child will find the challenges of secondary school, post-secondary and tertiary studies much easier to negotiate. And no matter what your child decides to do with his or her life, the ability to read faster and more efficiently sets him or her up for success in the future. Like Henry S. Truman observed: “Not all readers are leaders, but all leaders are readers.” Your child will absorb more knowledge, faster than his or her classmates – and always come out ahead. With Soundway Efficient Speed Reading your child will churn out his or her homework and class projects with enhanced clarity and speed. And leave the rest of the class in awe. Are you slow or speedy? Does your child tend to read one word at a time? Does your child have to re-read words? Does your child vocalize when he or she reads, either subliminally or silently lipping or mouthing words? Does your child find it difficult to derive the meaning of new words from its context in a sentence? Does your child have a hard time recalling what he or she has read? to any of the above – Your child is not reading at his or her fastest. 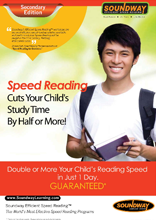 Enrol your child for the 1-day Soundway Efficient Speed Reading Program to double or more his or her reading speed. Congratulations! Your child is reading faster than the average primary school child. Now how would you like your child to read even faster? The faster you read the more you learn! Mental exercises that facilitate alertness! Very useful & helpful. Looking forward to the next workshop. Excellent program. Learned the skills of learning and memory techniques. Learned something useful and helpful for memory & reading. Energizing, challenging, competitive yet enjoyable. All 4 goals set on the first day were achieved! Brilliant & outstanding! Spot on learning issues with all the relevant guidance provided. Energizing, challenging, competitive yet enjoyable. All 4 goals set on the first day were achieved. Brilliant and outstanding! Awesome workshop. Perfect guidance from the trainers. Awesome excellent program. I recommend it to everyone. "Awesome. Improved my memory tremendously"
"The greatest course I’ve attend"
Keep current with our newsletter, free resources & new offerings. Sign up now and get our latest ebook free.